What sparked you to create THE TEN SPOT®? 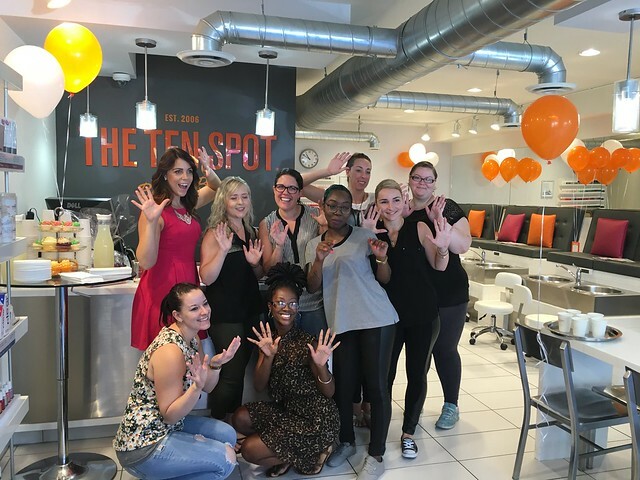 THE TEN SPOT® beauty bar came about because I didn’t see anything in the beauty services market that I personally enjoyed. In 2006, there were low-end, cheap and dirty mani/pedi places, and high-end day spas that took too much time. Neither option had all the elements I was looking for, namely a great vibe and energy, time efficiency, and clinical cleanliness. In short, there was no ‘Starbucks of spas.’ I set out to create a very on-point, social ‘beauty bar’ experience that catered to young professional women, with the same quality as high end day spas. What was it about the beauty industry that intrigued you the most? A big part of the appeal to me is thinking about affecting people’s lives. 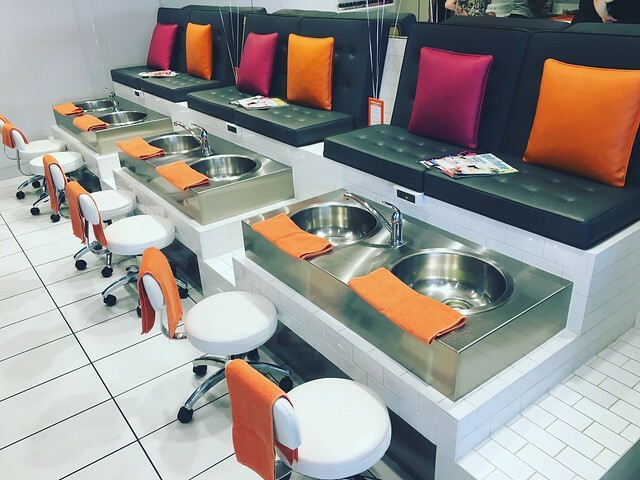 I know it’s silly to think we’re changing the world with manicures, pedicures, waxing, and facials, but it inspires me that our business has the potential to lift people up, even just for the afternoon. When I have a service it immediately lifts my mood and self-confidence. I also see a huge boost for the people who take the plunge with us and franchise a location. They get to be an entrepreneur in a proven system, and for a lot of people it’s a huge leap and huge investment in the brand and themselves. In short I’m motivated and inspired by the thought we can impact more lives in a positive way. What makes THE TEN SPOT® so unique? I think what’s unique about THE TEN SPOT® is just the entire ‘ecosystem’ of what’s going well in the company. Public-facing, we were the ‘first mover’ in upscale, high-efficiency/high-quality beauty services, and we deliver a great experience in a beautiful setting, with a great brand vibe as well. On that note, our communications are part of what makes us special. Through our newsletter and other vehicles we really try to channel a funny, quirky, authentic humour, and I think in terms of the people who love us, we really get each other. Same goes for our internal teams. We have a great internal culture, and we are always striving to make THE TEN SPOT® a place where people want to build their long-term careers. As a result we truly have a cult following at each of our locations and the number of people asking to franchise is growing exponentially each quarter. Is there an entrepreneur that you admire the most? I love telling the story of my favourite historical person, a Canadian, who I feel has been largely forgotten. Martha Matilda Harper was born near where I live today, outside of Toronto, in 1857, and was put into service as a domestic worker in a relative’s home – 50 years later she had invented the very concept of ‘franchising’ and had built a 500-location strong business of beauty salons across North America. Her impetus for doing this was to lift marginalized women out of poverty. As I’ve spoken about and written elsewhere, what I think is most striking about Harper’s story is that she tapped into something fundamental about how entrepreneurial business can level elements of the playing field for women. Harper women were empowered to travel to new markets to launch their franchise. Unlike the other capitalists of her day, Harper was generous in the sharing of wealth with her followers. There’s a great biography by Jane Plitt if you ever have time to check it out. What has been the biggest achievement/obstacle in your career so far? I’m so proud to be part of a company that values women’s entrepreneurship and women’s opportunity as such a priority. 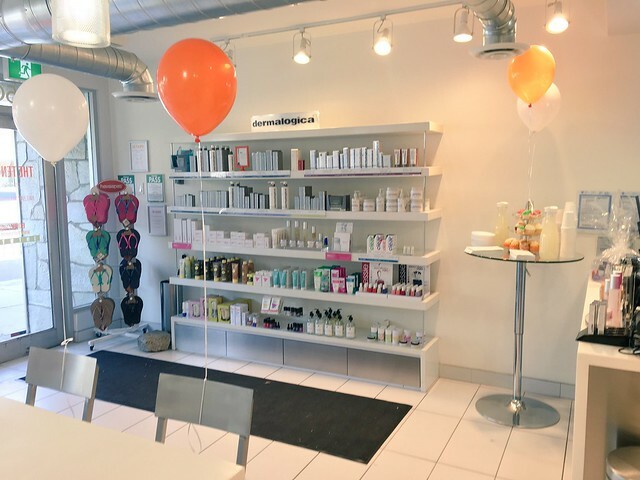 Through franchising, countless women entrepreneurs make an investment in themselves and have their own version of what my original dream was: own a trendy beauty bar in a cool neighbourhood. Same applies to our internal team, where our leadership team is largely women, and we prioritize advancement and growth through new opportunities. I’m also very lucky to speak frequently externally, and can deliver the message that women should bet on themselves if they have an entrepreneurial spirit, and that more young women should hear about entrepreneurship as a viable career option. On a related note, I am so proud of our tenth anniversary initiative, which asked our guests to bring in clothing donations in exchange for a free service, with donations going to my favourite charity Dress for Success in Canada. Any advice for aspiring entrepreneurs and #CREATORS? I’m definitely a big proponent of entrepreneurship and I encourage everyone to at least think on whether they’d feel a higher level of self actualization as an entrepreneur. It’s not for everyone, but here’s how I’ve explained it in the past: if today you are living your plan B, maybe grinding it out in a day job, you owe it to yourself to give plan A a shot. Worst case scenario: you fail and can’t actualize your dream, you’d be back to plan B, where you currently are today. The upshot is if you’re successful, you get to live your dream. To some this will sound terrifying, but risking everything on yourself is something we all do in different ways anyway, so why not do it for career and personal wealth and wellness? The first step is to write a good business plan, so for the more risk averse I’d say start there, or alternatively look for an existing franchise business that already does what you want to do.